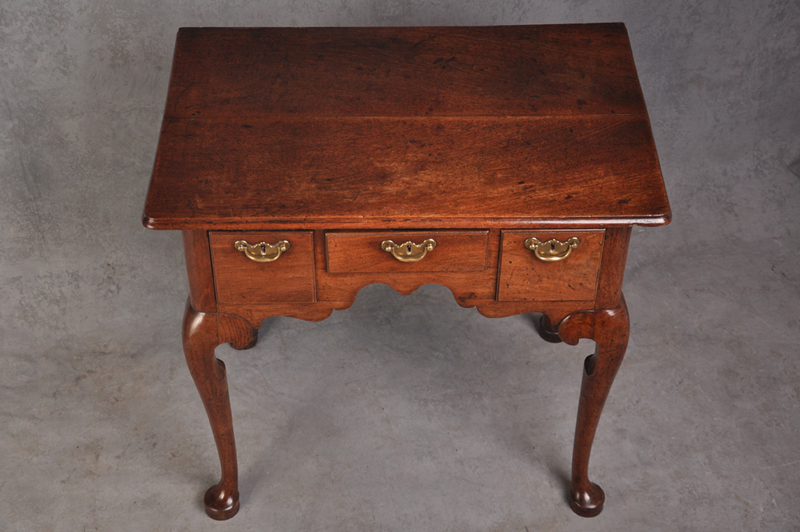 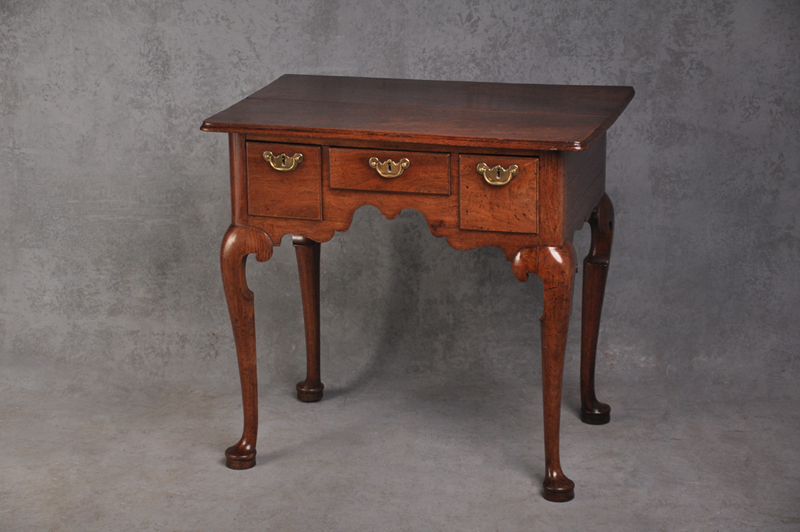 A wonderful quality George I red Walnut Lowboy with nicely shaped apron and well drawn cabriole legs. 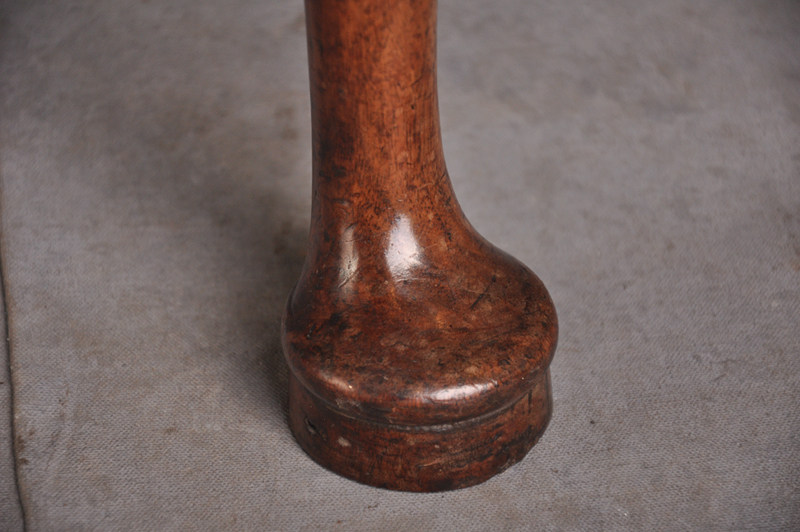 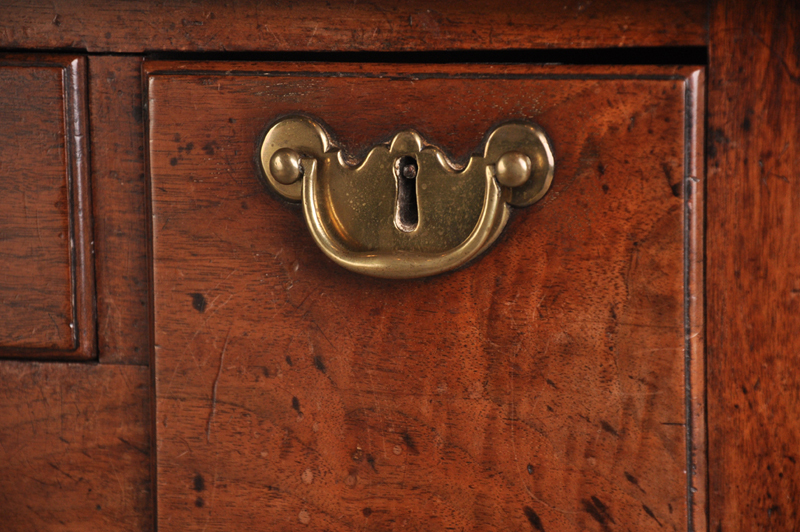 The handles and locks are completely original, the colour and patina is superb. 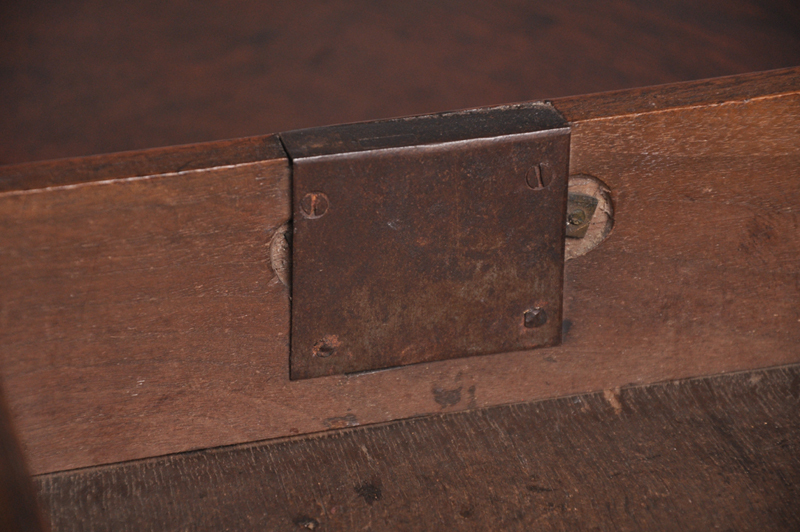 The two piece top is made from matched timbers.